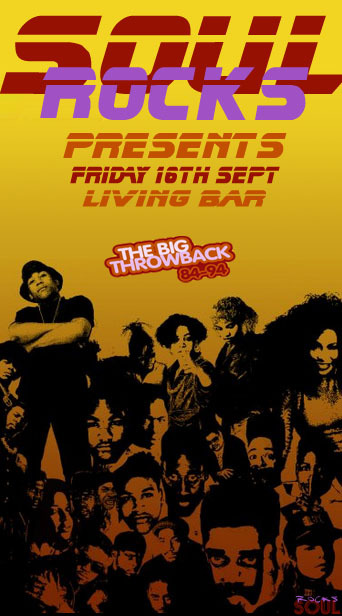 soulROCKS changes gear to present a night of New Jack Swing, Jheri Curl Soul, MTV Raps anthems and Club Classics. This entry was posted in Event, News and tagged Club Classics, Jheri Curl Soul, MTV, New Jack Swing. Bookmark the permalink. Follow any comments here with the RSS feed for this post. Post a comment or leave a trackback: Trackback URL.